Violation of Articles 1 and 4: Entry or exit without a valid passport. Entry or exit through non-specified areas. 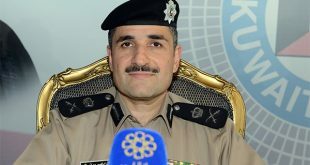 The penalty includes imprisonment for a period not exceeding six months and a fine of not less than KD 200 or one of the two penalties. The penalty also includes confiscation the means of transport used in facilitating the offender in return for money. The foreigner who entered or left the country without a valid travel document or through the non-specified entry or exit areas is fully responsible for the offence. Violation of Article 5 includes failure to submit a list of names of the crew and passengers aboard ships, airplanes and vehicles and failure to report passengers who do not hold the passports. 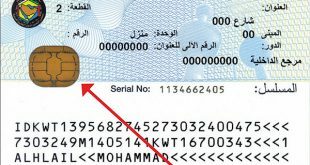 Such persons face imprisonment for a maximum of three months, a fine of not less than KD 200 and not more than KD 600 or any one of the two penalties. Persons responsible for committing this offence are captains of ships, aircraft and motorists. Violation of Article 5: Failure to notify the Immigration Department in case of change in residential address, failure to notify the Immigration Department of the newborn baby within two months from the date of birth. 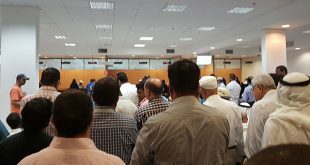 The foreigner who has failed to inform the Immigration Department faces imprisonment for a period not exceeding three months and a fine of KD 200 to KD 400 or any one of the two penalties. Violation of Article 7: In case of the failure by managers of hotels and lessees who rent out furnished housing apartments to inform the General Directorate for Immigration the check in and checkout time of foreigners within 48 hours. The violation carries imprisonment of not more than three months and a fine from KD 200 to KD 400 or any one of the two penalties. Violation of Article 7: The failure of the lessee of his deputy to provide the data of the tenant in the lease contract (passport details and personal identifications), failure to notify the Department of Immigration about the foreign tenant and those living with him within a week from the date of the contract or the evacuation. The violation carries imprisonment of not more than three months and a fine from KD 200 to KD 400 or any one of the two penalties. Violation of Article 8: Includes all those who refrain from providing statements requested by the General Directorate for Immigration in the specified time limit, failure to report damage or loss of passports within three days. The violator (a foreigner) faces imprisonment of not more than three months and a fine from KD 200 to KD 400 or any one of the two penalties. Violation to Article 8: failure to report harboring a foreigner, accommodating or leaving the country illegally within 48 hours. The violator (person who harbors a foreigner in his house, whether he is a landlord or tenant) faces imprisonment of not more than three months and a fine from KD 200 to KD 400 or any one of the two penalties. Violation to Article 12: Sheltering or accommodating or using illegally a foreign resident recruited by a third party during the validity of his contract. The violator faces imprisonment of not more than three months and a fine from KD 200 to KD 400 or any one of the two penalties. Violation to Article 14: Using or harboring domestic helpers with valid residence or giving him/her a new residence if it is cancelled and deported from the country for failure to work for his sponsor without a written consent of his previous employer unless he/she remained outside the country for two years. The violator faces imprisonment of not more than three months and a fine from KD 200 to KD 600 or any one of the two penalties. Violation of Article 19: Those who facilitate the return of the deported foreigner and also the person who returns without special permission from the Interior Minister carries a penalty of not more than one year imprisonment and subsequent deportation. Violation of Article 24: Those trading in work or visit visas in return for cash, other benefits or promises to do so. 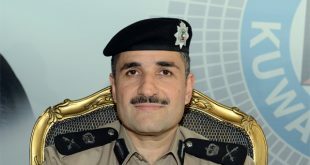 The violators will be imprisoned for three years and fined not more than KD 3,000 or any one of the penalties. The penalty shall be doubled in case the offence is committed again within five years from the date of the court verdict. 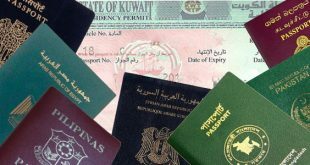 Violation of Article 24: Those who offer cash, benefits or just a promise for the issue of visit or work visa will be imprisoned for not more than one year and fined not more than KD 1,000 or any one of the two penalties.